can you dig it? yes i can. We’re close enough to the Fairgrounds to hear music if the wind is right, and Retrogrouch and I had been planning to lite-rock out to the brassy grooves of Chicago, Saturday’s feature act at the Lane County Fair, for several months. My recent trip to San Francisco provided an excellent way to fatten up the festivities: too many pounds of freshly made Polish sausage, in several varieties, from Seakor Polish Deli and Sausage Factory. Retrogrouch manned the grill, serving up the sausages and buns, and I made an updated version of three-bean salad, that Midwestern picnic classic, and coleslaw. Friends brought a picture-perfect Cook’s Country version of macaroni salad with barbecue sauce (which I won’t reprint or sanction because of their draconian reprint policies — shame on you, Kimball!) and a couple genuine deli salads featuring broccoli, tomato, and feta cheese. I also put out homemade sauerkraut, new dill pickles, and dill relish for anyone in the mood. The sausage? The mysliwska (hunter’s sausage), double-smoked with allspice and caraway, was more mild than expected, as was the regular kielbasa, but still delicious, and the czosnkowa (garlic sausage) was stunningly good. I was too tipsy on excellent Oregon Pinot Gris and Pinot Noir to remember to take pictures at that point. And if you are wondering where the jello mold was, as were my foodie friends who heard the recap last night, I even (somewhat inadvertently) had that covered. A shimmery, snowy, creamy panna cotta! Because, you know, panna cotta has gelatin in it. Yeah. 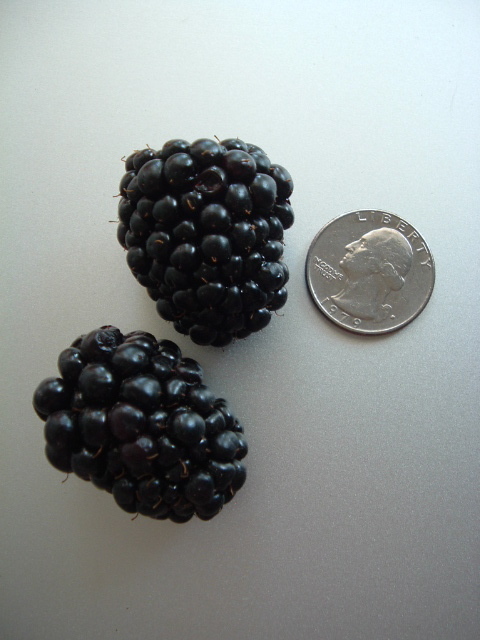 Served up in big scoops with giant blackberries macerated in pinot gris syrup and allspice, it rounded out the meal, just like a good jello mold does. Turns out the wind was wrong that night, and we couldn’t hear the blast of a single trumpet from the band, disappointingly enough, but we were treated by an even better spectacle. With our doggedly hot weather the past week, the air was crackly and pregnant, just right for a lightning storm, and that we had: brilliant poofs of light in the clouds, and big, jagged streaks of the good stuff, powerful enough to show Chicago that even we could muster up a summer light show. PNW in the HOUSE! Of course, the sky didn’t break open and fall until last night, but that was ok. One doesn’t expect a tribute to be an exact replica. 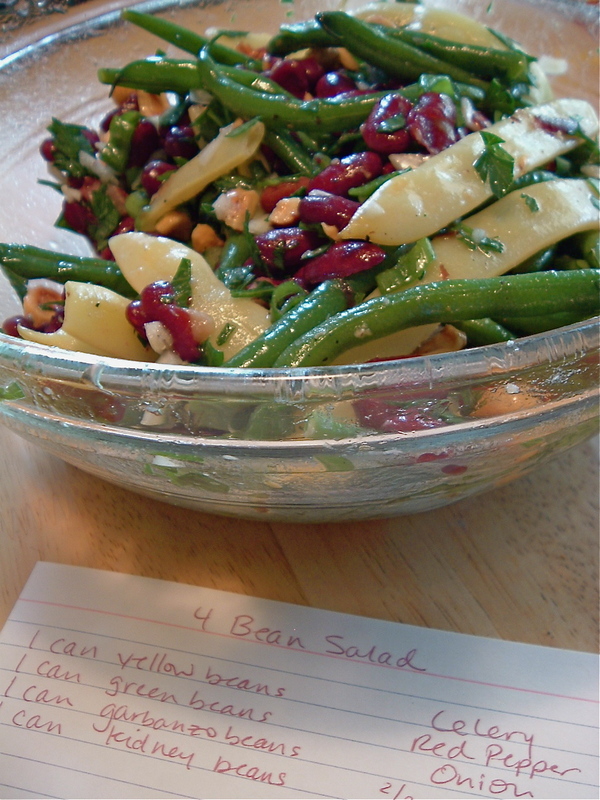 The three-bean salad is an adaptation of my sister’s four-bean salad recipe, which was handwritten on a card in the recipe binder she made for me several years ago. My version largely takes the cans out of the equation, and freshens up the vegetables with garden beans, hazelnuts, herbs, and less sugar. What would be even better is to replace the kidney beans with local scarlet runners or another variety that grows well in the Valley, but there was no way I was going to spend more time in the hot kitchen cooking beans this weekend, so I used a local canned kidney. The beans were from my garden and one of the local farms, as were the herbs and onions and garlic. It would have been really cool to have local Riesling vinegar, but alas. The Spanish company Unio has a German Riesling vinegar, sweet and sour and fragrant as only Riesling can be, is delicious enough to drink. I bought mine at Berkeley Bowl. 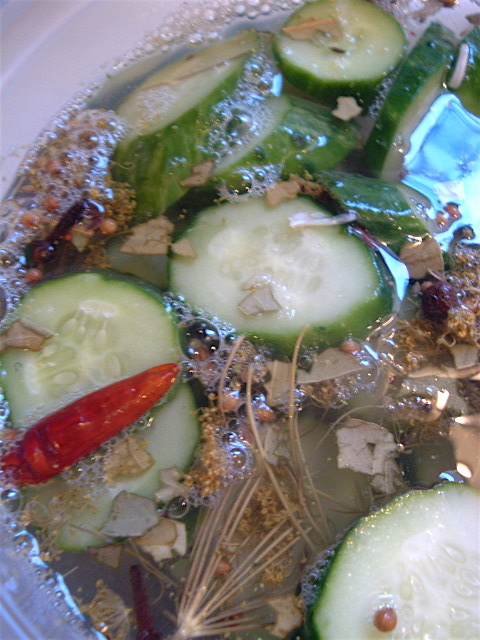 If you can’t find it, use a high quality white wine vinegar and add just a bit more sugar. Clean and stem the beans. You can cut them in half, but I like how they look long. While the beans are cooling, whisk together the garlic, sugar, mustard, vinegar, and olive oil in a large bowl. Season to taste with salt and pepper. Add the red onion, hazelnuts, scallions and parsley. 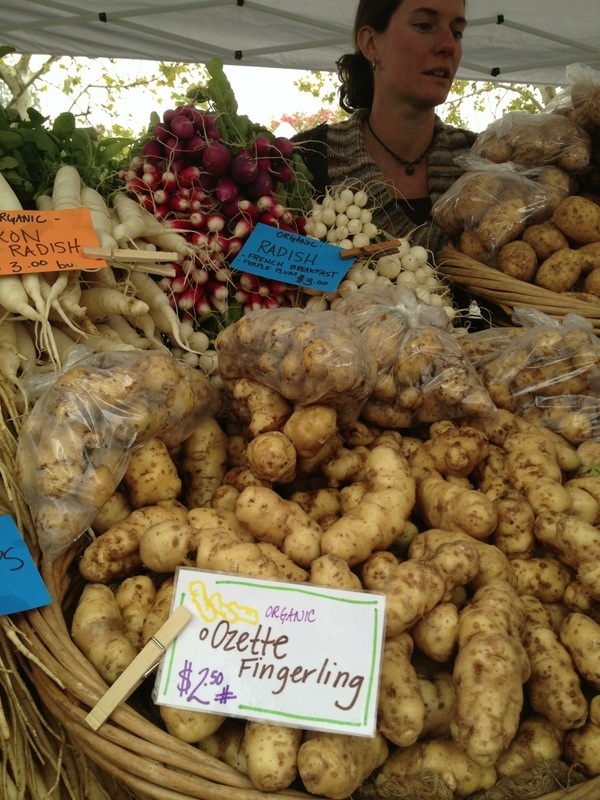 A dash of celery salt or grated celeriac is good, too, if you have them on hand. Drain the kidney beans and rinse, then pat dry. Add the cooled beans and kidney beans, toss gently, then refrigerate. This salad needs to sit for a few hours to blend the flavors, but don’t let it sit overnight, since the beans will lose their color. take my zucchini bread, please! It’s that time again. Everyone in the continental U.S. is overrun with zucchini. I’ve got three medium ones waiting in my fridge, and several more threatening on the vine. 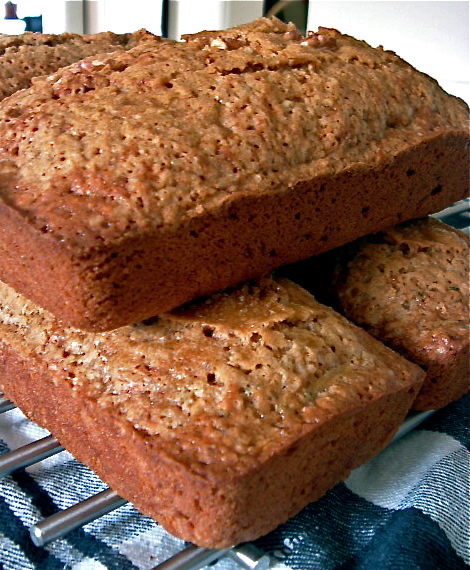 A couple of years ago, with my bounty crop, I thought I’d perfect zucchini bread. A dozen or so loaves later, this recipe comes pretty close. I’ve been through internet recipes, my great-aunt’s recipes, and even a granola zucchini cookbook written by Oregon mountaineer commune-ists. Based on the famous Sunset magazine zucchini bread recipe of ’76 (which most recipes are), then doctored for less sugar and oil and more spices and the removal of such blasphemies as canned pineapple, le voilà. I also added more zucchini, since that’s the point, no? This makes a moist, non-oily, hearty bread. For a large garden zucchini, you will be able to make six or more loaves, so plan accordingly. You can refrigerate shredded zucchini overnight and even freeze it, but I found the texture of the bread suffered with frozen, thawed zucchini shreds because of the cellular breakdown. It’s much better to bake the bread, then freeze the loaf, since the loaf freezes beautifully wrapped in foil then heavy duty freezer wrap. The additions of raisins (peh), carrots, or steel-cut oats or turbinado sugar on top to this recipe all make the loaves pretty. I particularly like the combination of little flecks of green, yellow, and orange from the zucchini peel, lemon zest, and carrot. If you know of any other ways to make it your own, let me know what you’ve discovered! Makes two large loaves or three medium ones. 3 c. (packed) shredded zucchini with peel. If you have a monster zucchini, core it to remove the seeds. Preheat oven to 350 degrees. Beat ingredients in A together until well-combined. Mix in B. In a separate bowl, combine ingredients in C. Just before pouring batter into greased, floured* loaf pans (2 large or 3 medium — batter should fill pan a bit over half full), add D.
To be fancy, add some oats, crystal/turbinado sugar, or a few nuts on top. Bake for 50-60 minutes, or until wooden stick comes out clean. You will also see loaf slightly separating from the pan around edges. Invert pan and cool on rack. *In moments of weakness, I sometimes use the Pam oil/flour spray. It really doesn’t work well; the bread rises unevenly and not so high as with the traditional method. But when you’re baking a dozen loaves in the heat of the summer, reach for the Pam. I forgive you. 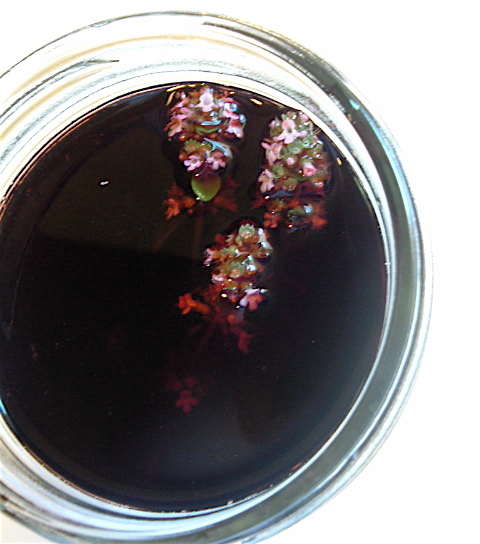 I should dedicate this, the second summer appetizer in my series of summer appetizers with obscure ingredients, to the folks at Hentze farm, where I bought the blushing, lovely apricots and the already-pitted sour cherries, submerged in their juice. It made my life so easy, and easy livin’ is what summer is supposed to be about, right? Sour cherries and apricots whisper Hungary to me. My trip to Budapest in 2006 for a conference was one of the highlights of my life. If my soul had a foreign home, it would be Hungary. Of course, I’d soon die and have to be buried in a piano box because I would eat so much, but I’d die happy. At one restaurant, I ordered sour cherry soup (meggy leves), thinking it would be a light starter. Of course, being Hungary, it was thickened with sour cream and topped with whipped cream. And every bite was delicious. My version of the soup is lighter and appropriate for a July grilled meal. 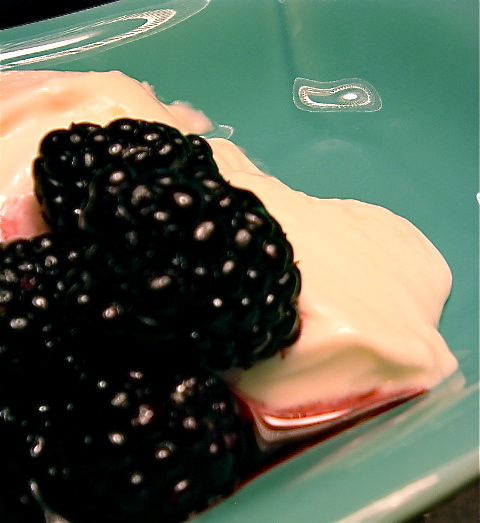 The soup is still rich, but unless you want to serve it as a dessert (which you absolutely can), forgo the whipped cream and replace the sour cream with thinner, lighter crème fraîche. Noris Dairy makes a delicious, slightly runny “sour cream” that is basically crème fraîche, so I use that. You might try lightening up your sour cream with a bit of heavy cream if you can’t find crème fraîche. If you can’t find that, you certainly won’t be able to find Hungarian apricot brandy, which is not imported much in the States, so substitute cherry brandy. Or make your own apricot liqueur! 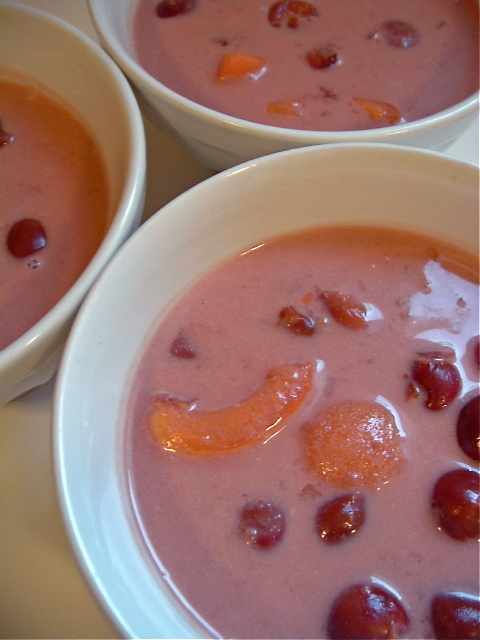 Using fresh sour cherries and apricots make this soup extraordinary. 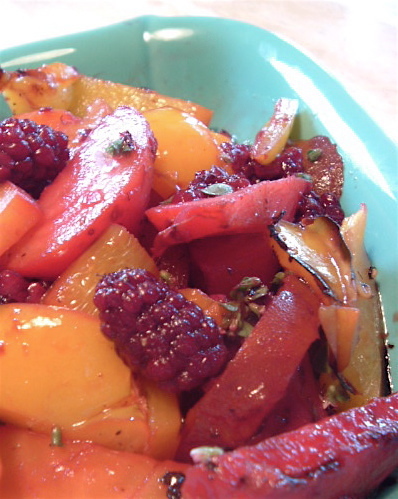 It’s better to substitute fresh Bing or other cherries than to use frozen or canned sour cherries, since this is all about fresh summer produce. I don’t bother peeling the apricots, but it might make the texture more elegant. 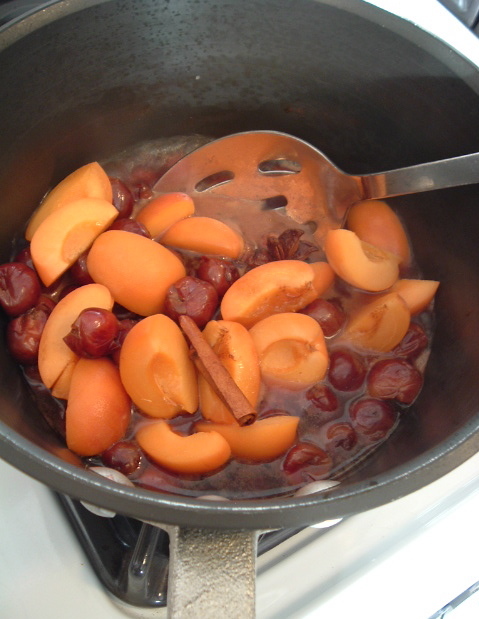 Pour juice and wine into pot, add cherries, apricots, and sugar. Place spices in small cheesecloth bag and tie with kitchen twine. Submerge in juice. Simmer cherries and apricots just long enough to soften them up, about 5-10 minutes. Mix crème fraîche and powdered sugar in a small bowl. Remove soup from heat and remove spice bag. Scoop out about half of the cherries and apricots and puree in the food processor, then return to soup pot. 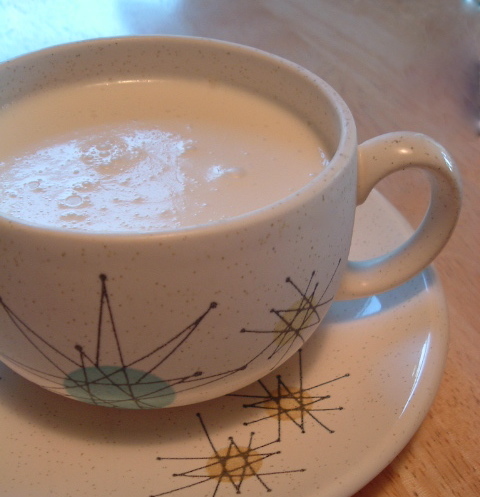 Quickly whisk in crème fraîche until thoroughly mixed, and add brandy. Pour into small serving bowls and chill for several hours before serving.